It may not be the first place you think of to buy a vehicle, but eBay Motors has become an increasingly popular way to buy and sell cars. If you’re new to eBay or haven’t previously considered buying such a major asset online, however, you may wonder to what extent automotive purchases are protected by eBay against fraud of various kinds. It's safer than one might think to buy a car on eBay. All vehicle purchasers on eBay are automatically enrolled (upon purchase) in the eBay Vehicle Purchase Protection (VPP) program. This VPP program protects against many of the most common kinds of fraud and nondisclosure, such as loss of deposit or payment in full in the case of non-receipt of the vehicle in question, loss in cases in which the vehicle was previously reported stolen, and any undisclosed liens on the vehicle. If there are differences in the make, model, year, or odometer reading of the vehicle from those advertised in the Motors listing, the purchase protection program guards against those, as well as any missing documentation such as titles. If a vehicle is not in the expected condition, the buyer may also have recourse under the protection program, as well as in cases where the vehicle needs major repairs of more than $1,000 at the time of purchase. When you buy a vehicle on eBay, you’re automatically enrolled in the protection program, which offers protection of up to $50,000 in value and gives a 30-day window after purchase for you to make a claim. Details on filing such a claim can be found in eBay’s description of the VPP reimbursement process. But don’t be a lazy buyer. Don’t let yourself get complacent about vehicle purchases on eBay just because of eBay’s protection program. VPP is not an insurance program and won’t protect you against things like wear and tear (things that break down after your purchase, even if it’s in the first month), overpayment for a lemon that hasn’t been categorized as such by a state agency, disclosures in a listing that you simply didn’t notice, or misunderstandings on your part about features or qualities of a specific make, model, or year of automobile. 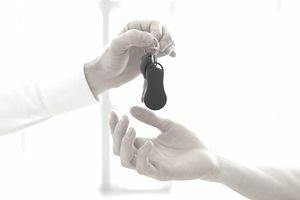 Determining the condition and suitability of an eBay Motors vehicle purchase is still up to you as a buyer; the Vehicle Purchase Protection program only protects you in cases in which the seller has actually supplied misinformation or engaged in wrongdoing, not in cases in which you made a poor buying decision or the condition of the vehicle wasn’t quite what you expected.